Can You Use Stew Meat That Has Been Frozen for a Year? How Long Does a Pot Roast Last After It Is Cooled? Refrigerate cooled pot roast within two hours of cooking. 3 Can You Use Stew Meat That Has Been Frozen for a Year? 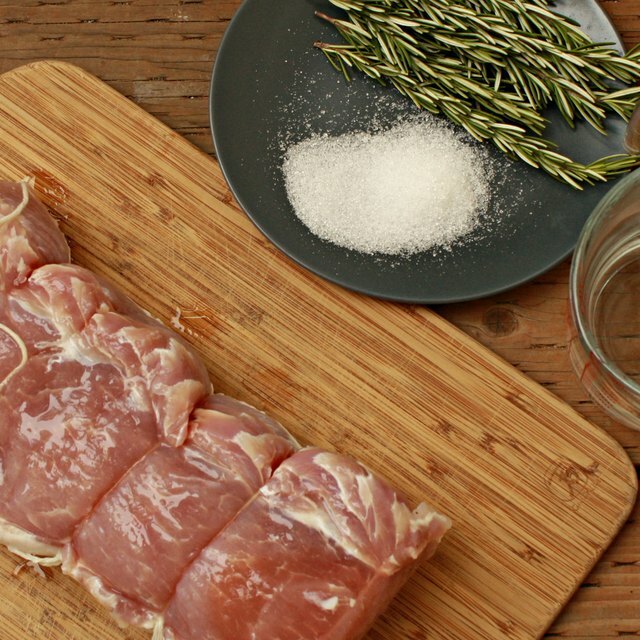 4 What Are the Temperatures for Slowly Baking a Pork Roast? The beef in a pot roast is browned over a high heat and then stewed until tender -- a process known as braising. The stewing completes the cooking process. Once you remove the roast from the oven, it begins to cool. How long the pot roast remains safe to eat after it cools, depends on a variety of factors, most importantly, air temperature. Pot roast is a perishable food that requires prompt refrigeration after serving. 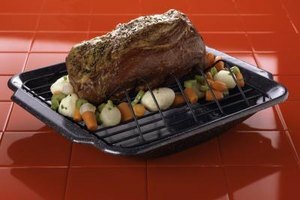 As the pot roast cools on the serving tray, bacteria that is present on the meat multiplies. In room temperatures above 40 degrees Fahrenheit, the cooled pot roast requires refrigeration within two hours to prevent bacteria from reaching levels that make you sick if you eat the meat. In room temperatures of 90 F and above, the time is cut to one hour. A pot roast cooling in the refrigerator has a limited shelf life. Stored in an airtight container or wrapped tightly in heavy-duty aluminum foil or plastic wrap, a cooked pot roast keeps for up to four days. If the pot roast is still in the refrigerator after day four, throw it out. Before the fourth day, you can move the pot roast to the freezer for long-term storage if you do not plan to eat it right away. Stored in the freezer, a pot roast lasts for an indefinite period of time, although its flavor and texture will start to deteriorate. The chilly, 0 F temperatures of the freezer keep the meat safe to eat for as long as it is frozen. Even though the pot roast is safe to eat, it does suffer quality loss with prolonged freezer storage. Once thawed, you may notice changes to taste and texture in pot roast that has been in the freezer between two and six months. So, eat it within two months, if possible. It is never a good idea to brown the pot roast and then allow it to cool in the refrigerator before it's fully cooked. Partial cooking to temperatures below 145 F does not heat the meat to a high enough temperature to kill bacteria. Any bacteria present on the meat before cooking continue to multiply after browning. It is only safe to partially cook the pot roast if you plan to complete the cooking process immediately after browning.